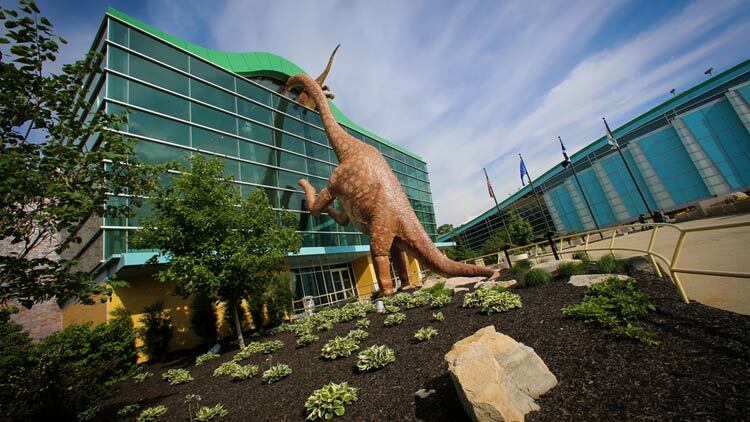 The world’s largest (and best) children’s museum is found just north of downtown Indy. This amazingly fun, family venue features five floors of interactive learning experiences for youngsters and adults. Explore Dinosphere and dig for dinosaur bones. At Beyond Spaceship Earth, find out how astronauts live and work aboard the International Space Station. Journey into an Egyptian tomb at the National Geographic Treasures of the Earth galleries. Take a picture with Bumblebee, a 16-ft. tall iron giant from the original Transformers movie. 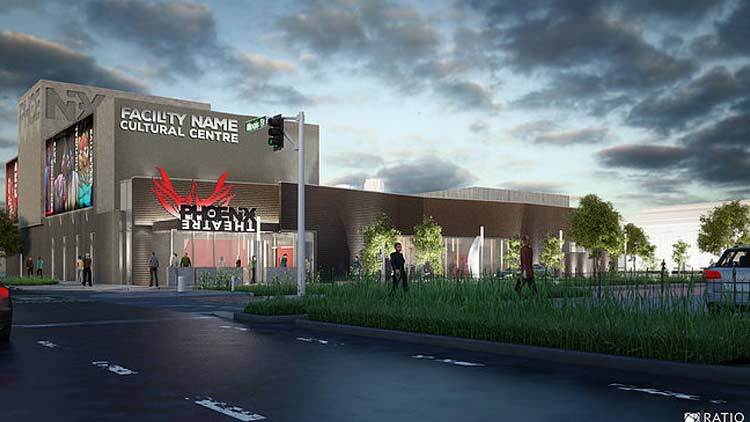 The Riley Children’s Health Sports Legends Experience®, a 7.5-acre recreational bonanza, features 12 sports experiences and 3 indoor exhibits. Kids and families can play soccer, basketball, baseball, tennis, and even golf on a mini-course designed by Pete Dye. The Children’s Museum is an accessible venue that is eager to welcome all. Ample accessible parking is located in the museum garage (connected by skywalk to the museum) and the adjacent surface lot to its north. Parking is free. The vast majority of the museum is barrier-free, providing easy access to individuals with disabilities. Only a handful of areas are less accessible. The five stories of the museum are completely ramp accessible, and large elevators operate floor to floor. 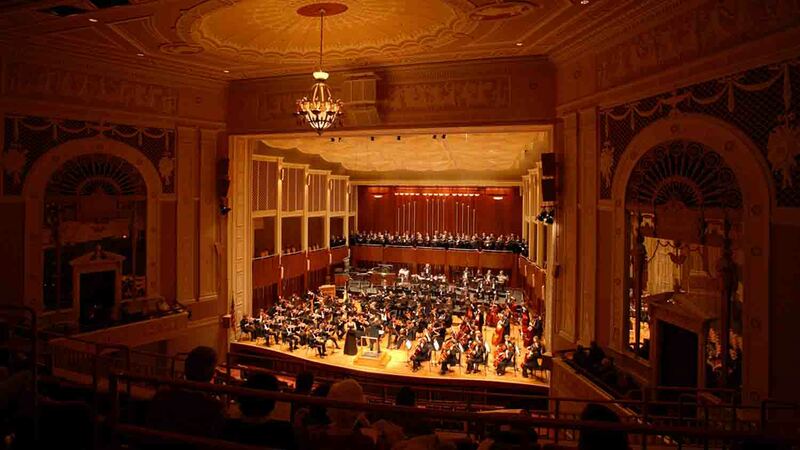 The Lilly Theatre is busy with many performances and educational activities. Assisted listening devices are available for shows, and for select performances, ASL interpreters are present. All aboard the historic carousel including those using wheelchairs. For those with sensory sensitivities, the museum offers sensory resources that point out areas that are quiet, loud, bright, stimulating, etc. 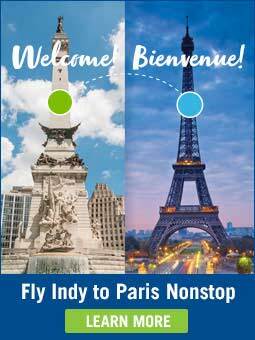 to help plan a visit in advance. 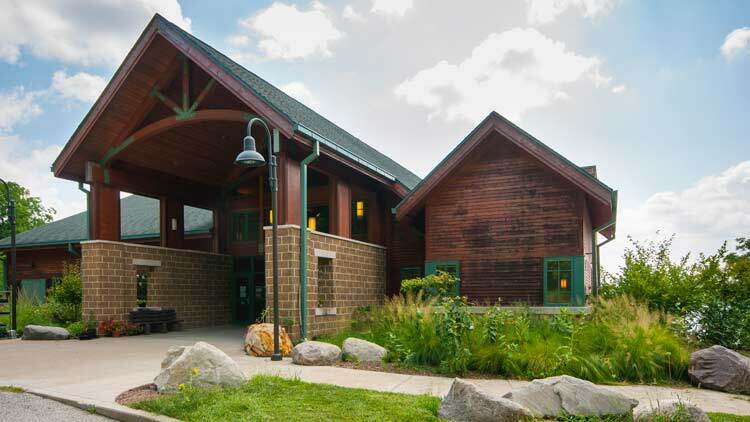 One of the largest and most visited outdoor attractions in the nation, and a Smithsonian affiliate, Conner Prairie is the perfect place to satisfy curiosity seekers. 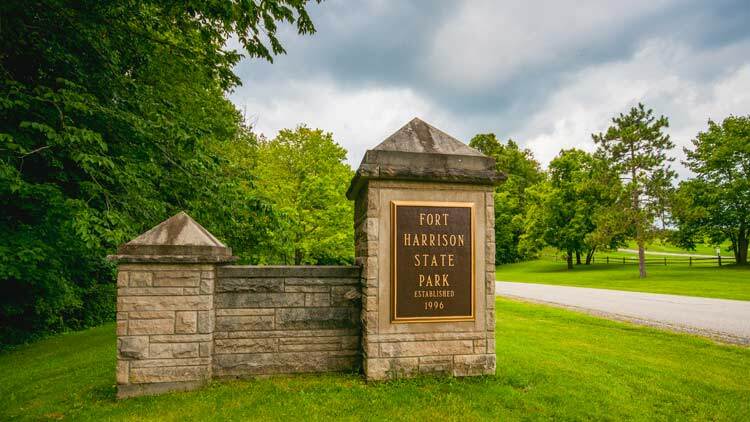 At this marvelous attraction, history lovers may engage with citizens of 1836 Prairietown, or be riveted by a true-to-life Civil War skirmish between the townspeople of Dupont, Indiana, and Confederate Army raiders. Visit the fur-trading post at the Lenape Indian Camp. Head over to the Treetop Outpost or to Animal Encounters where you can interact with farm and barn animals, and rare cattle breeds. Those looking for a soaring adventure will migrate to the 1859 Balloon Voyage for a tethered helium-balloon ride and a beautiful sky-high view of the Prairie. 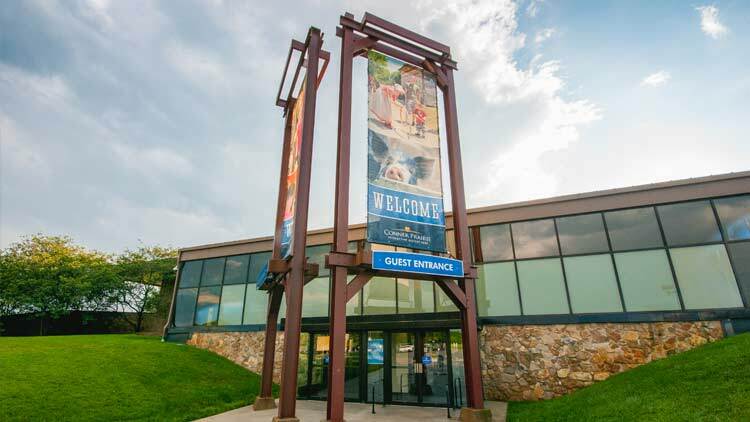 The Welcome Center is fully accessible and a good starting point to make your plans for the day, gather maps, and learn of any special programs taking place during your visit. Ample free, accessible parking is near the Welcome Center entrance where the Conner Prairie experience always begins. Guests may be dropped off first if desired. Aides accompanying a guest enter at half-price. 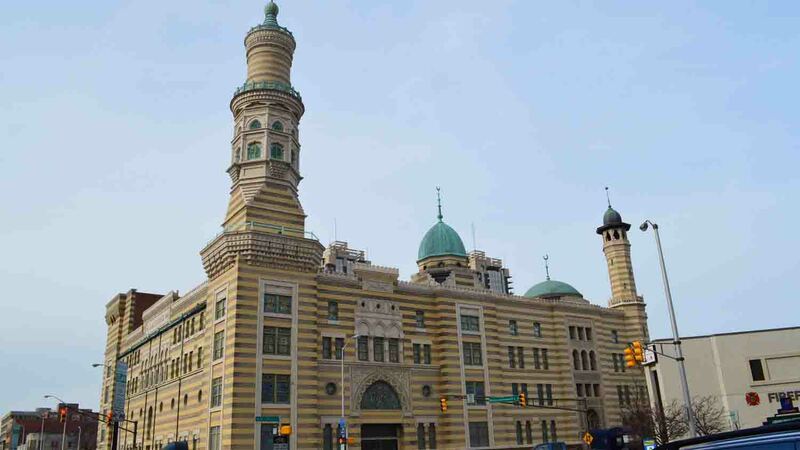 Not all buildings nor pathways leading to historic experiences are accessible by wheelchair due to the authentic 19th-century nature of the experience. 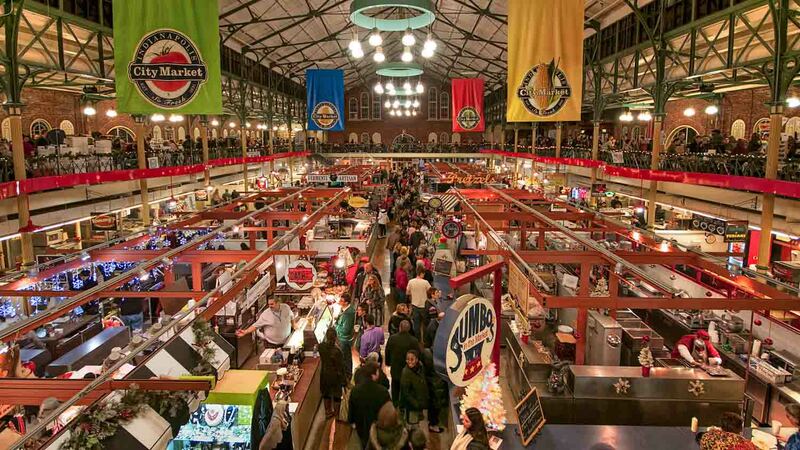 For those non-accessible experiences, the staff will bring them to you. Conner Prairie’s services to those on the autism spectrum are strong. Quiet spots are located throughout the venue. Two tips sheets help identify experiences for those who are sensory sensitive are linked above. 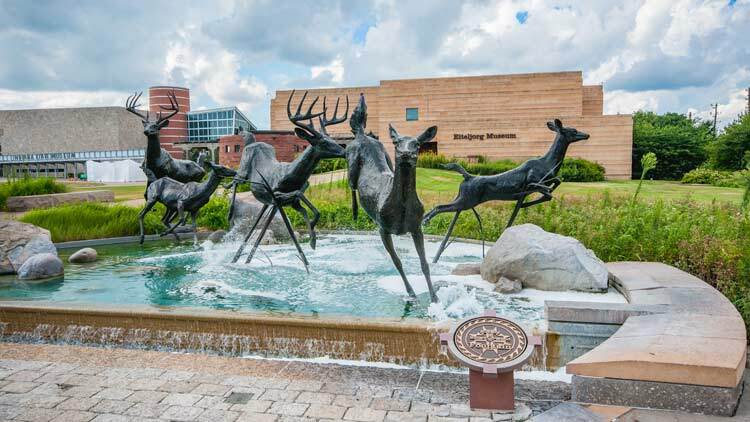 The Eiteljorg Museum explores the art, history, and cultures of Native Americans and of the American West. Paintings, sculptures, artifacts, programs, lectures, children’s activities, art markets, and more provide visitors greater understanding of the complete story of the West, its diversity and complexity. Each year the Eiteljorg presents a high impact exhibition. Past subjects have included the role of dogs in shaping the West, western-styled motorcycles, guitars, and Hollywood’s depiction of the West in film and television. A summer outdoor concert series gathers crowds along Indy’s Central Canal while the holiday season is greeted by an annual Eiteljorg favorite, Jingle Rails, featuring a multi-level model train display. Accessible parking at the underground White River State Park garage and an elevator to the Eiteljorg ground level entry are available. Parking is free – bring your ticket into the museum for validation. A convenient drop-off is located on ground level near the ramp to the main entry. 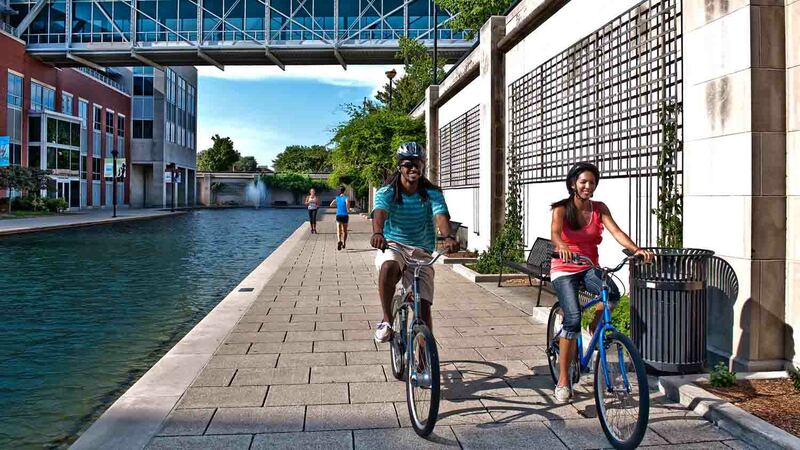 The Eiteljorg is a completely accessible attraction including its galleries, gift shop, café, and outdoor spaces. Reduced admission prices are provided to those with disabilities, and aides are admitted free of charge. Large print museum maps are available at the information center. A movie becomes an experience at IMAX. Big screen visuals, awesome sound, gold standard technology, and the highest quality 3-D engage and immerse viewers into compelling stories. 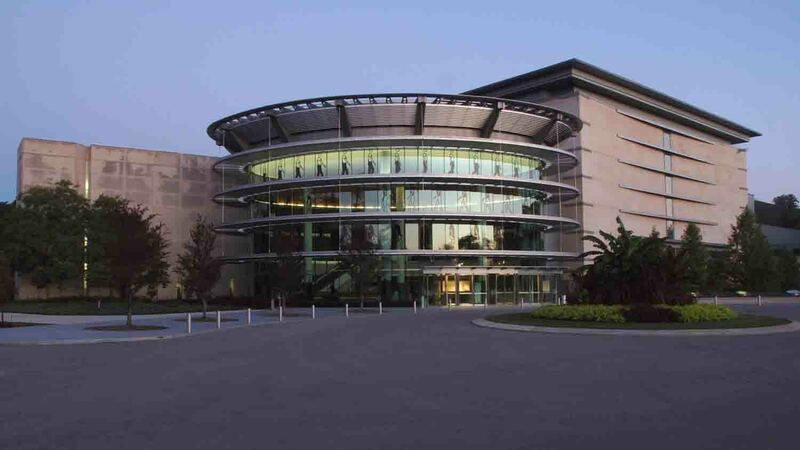 The IMAX Theater at White River State Park is located inside the Indiana State Museum and offers a variety of 2-D and 3-D Hollywood releases as well as intriguing films made specifically for IMAX theaters. 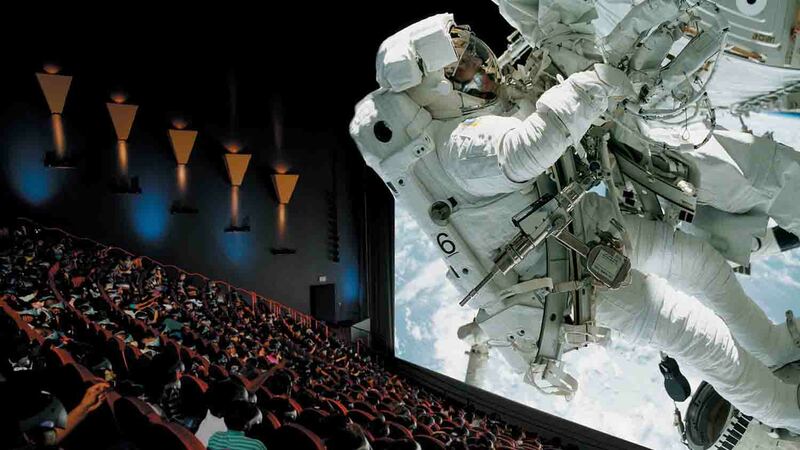 The screen at this IMAX Theater is 6 stories high to give the ultimate larger-than-life experience. No wonder, this is the state’s largest IMAX Theater. Accessible parking is available in the underground White River State Park garage. Park near the Indiana State Museum entrance. Parking is complimentary. Bring parking ticket to IMAX staff for validation. When purchasing tickets online, the seating chart will show accessible seating located in Row M. There are no physical seats there to accommodate those in wheelchairs. Companion seats are also in Row M.
For those with hearing loss, a personalized closed caption system is available for all IMAX digital movies, however, it is not available for those shot in film. 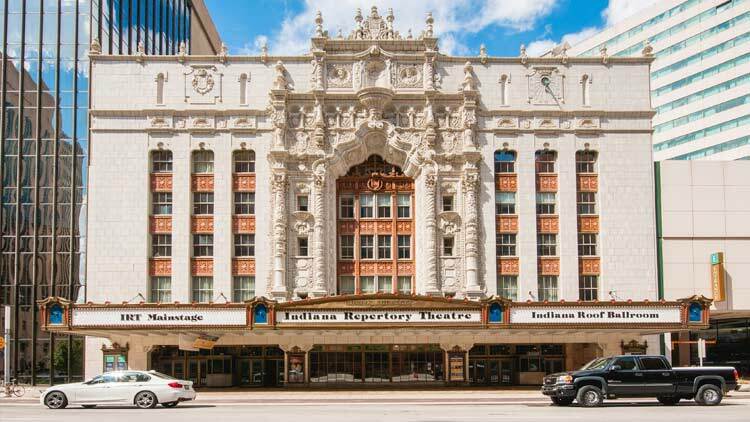 The Indiana Historical Society (IHS) is Indiana’s Storyteller, engaging guests with the rich history, people, events, and experiences of the Hoosier state. At the Eugene and Marilyn Glick Indiana History Center, visitors find stories told in new ways via immersive technology. Accessible interactive user stations are in the Destination Indiana experience, allowing guests to take up to 325 Indiana “journeys.” Narration is also available for these journeys. The intriguing “You Are There” experiences place guests directly into a historical story, and they become integral to its telling. 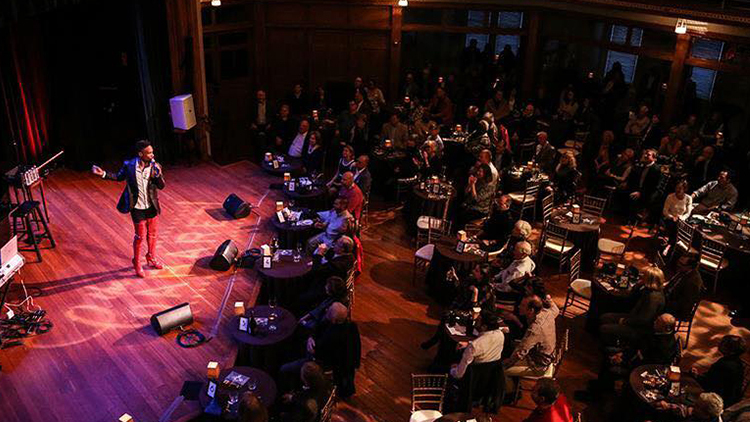 When visiting the Cole Porter Room, people select one of his famous songs to be performed live. Those who enjoy tactile activities should visit the History Lab where they can learn about restoring fragile papers. The Stardust Terrace Café is sure to please your taste buds, and few leave the History Center without a gift from the Basile History Market. 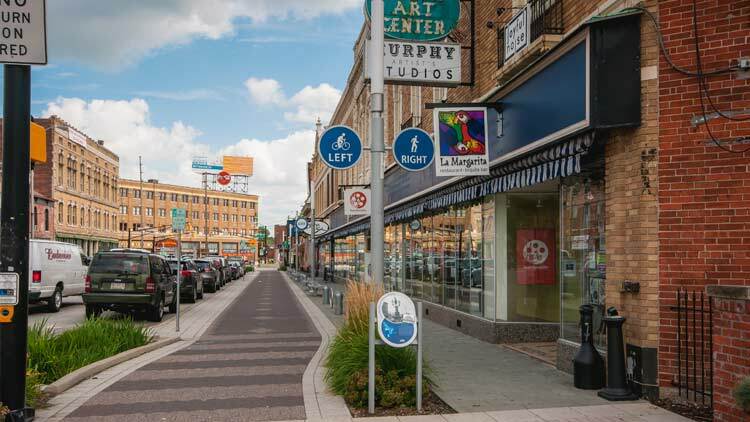 Accessible parking is available in the History Center's surface lot with entry off of New York St. 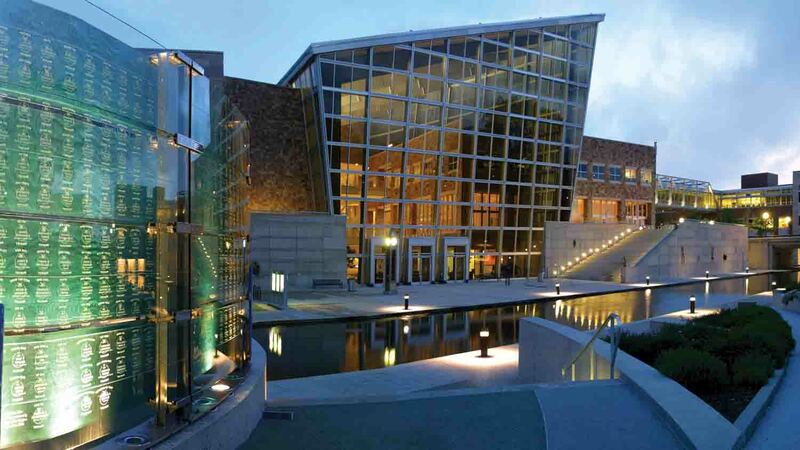 The History Center is fully wheelchair accessible with power doors at public entrances at main level and also at the Canal Walk lower level. Throughout the History Center, videos feature open captioning and audio narration to assist those with visual or hearing loss. Where captions are not available, the staff can provide text upon request. Complimentary admission is offered to licensed care providers with identification. Complimentary manual wheelchairs are available upon request at the welcome desk. Your motorized wheelchair/scooter is also welcome. 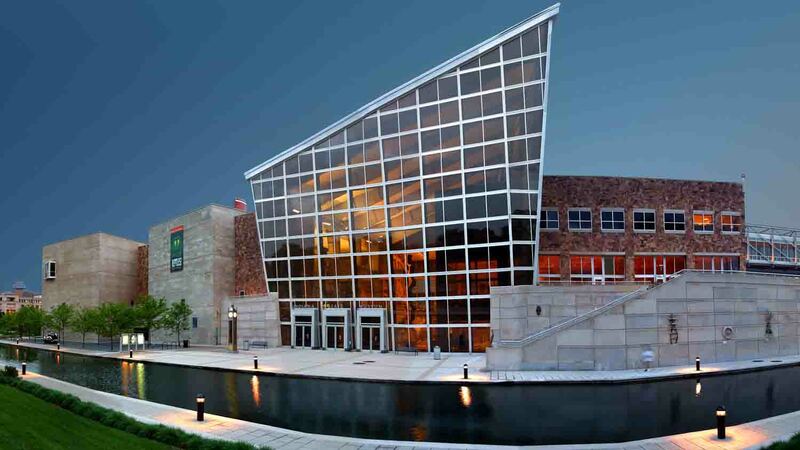 The Indiana State Museum tells the stories of real people, places, and items that have made Indiana what it is today. In newly opened interactive galleries, visitors learn what Indiana was like during the Ice Age, and can even touch ancient bones and teeth of animals that populated the land. Delve into the first people to settle Indiana, prior to the arrival of the Europeans. Explore pioneer living and the story of young Abraham Lincoln who spent his formative years growing up in Indiana. Become a naturalist/scientist examining Indiana’s plants, rocks, and animals. Weaving throughout each gallery are discoveries of Indiana art, science, history, and culture. Expect many surprising revelations as interactive, multi-sensory activities bring the museum alive. ­Accessible parking near the museum entrance is available at the White River State Park underground garage. Accessible entries are also available from street level and Central Canal. Manual wheelchairs are available on site free of charge. 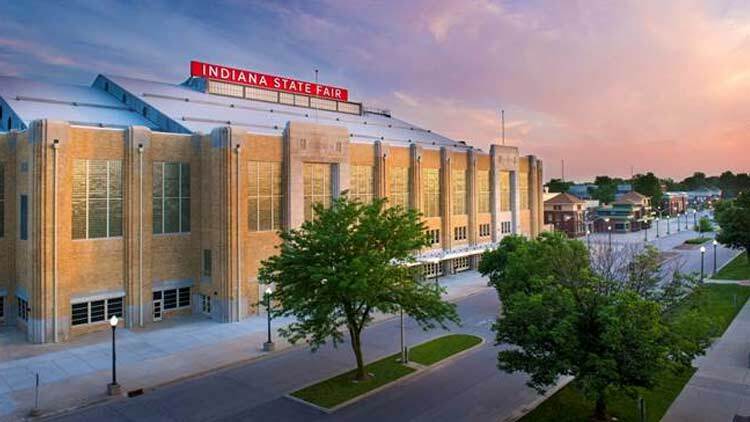 ­For those who are visually impaired, download the ISM app (IOS or Android - search for Indiana State Museum) to take an audio tour and receive detailed instructions on how to maneuver through the exhibits. Galleries also have tactile markers to serve as guideposts. 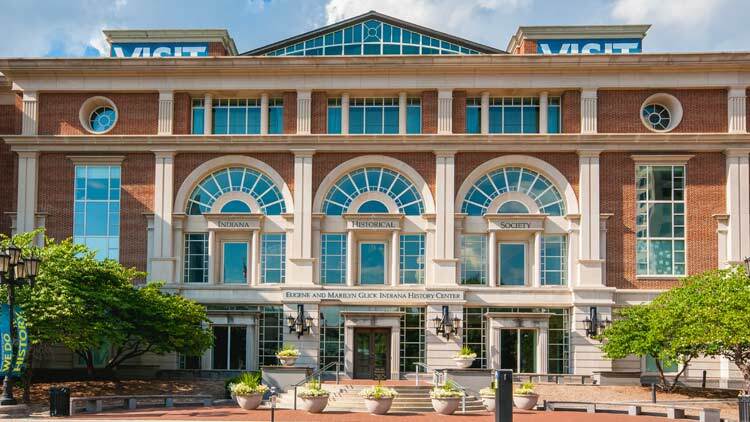 ­The museum offers a variety of programs and docent-led tours with American Sign Language (ASL) interpretation. 48-hour advance notice is requested. ­All in-gallery videos are open captioned. 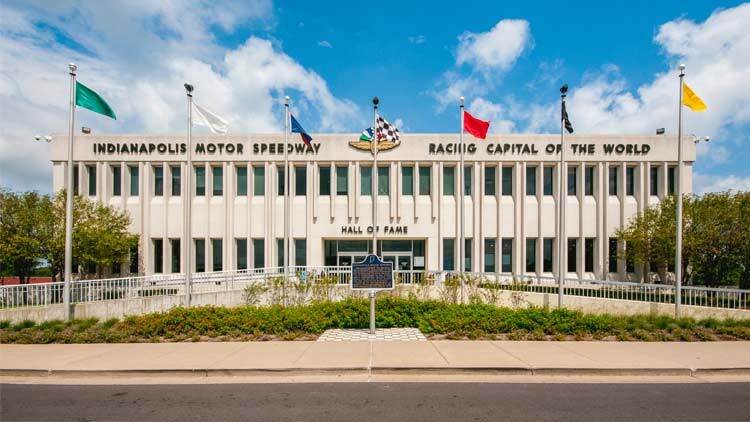 The IMS Museum pays homage to the history, drivers, cars, and thrills surrounding the Indianapolis Motor Speedway and the Indianapolis 500. Visitors marvel at the historic collection of race cars driven in the famed 500 and other races. Permanent galleries display artwork and photography related to auto racing, and temporary special exhibits make each visit fresh. 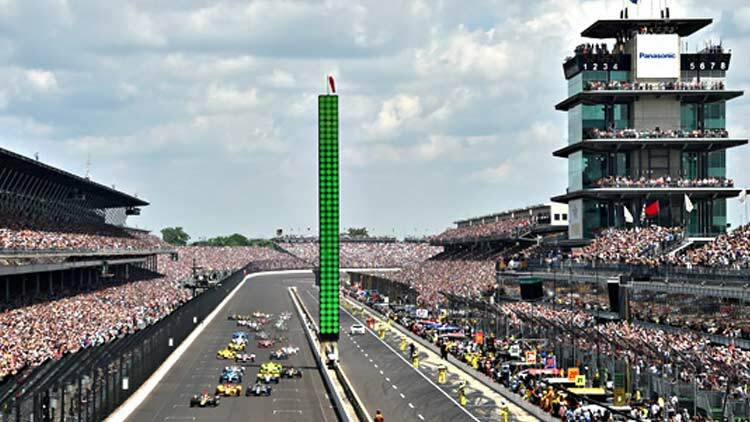 A great video about the history of IMS and its races runs continuously in the museum theater. 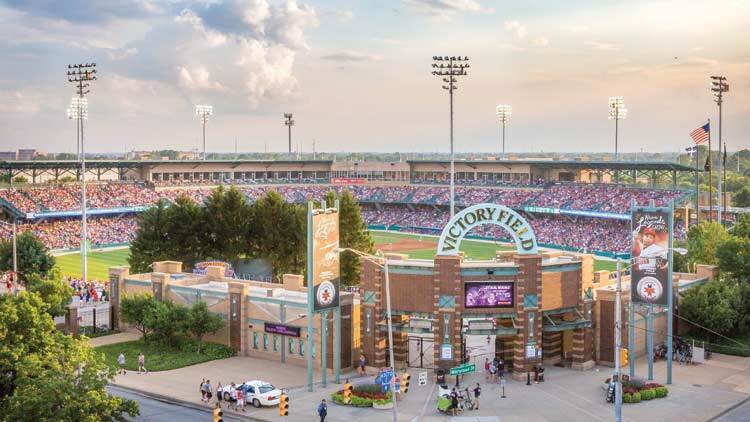 Multiple tours are available that include narrated rides around the famed 2.5-mile oval track, a Behind the Scenes Tour where visitors experience Gasoline Alley, the Pagoda, and Victory Circle, and the popular VIP Full Grounds Tour. Check out the museum’s events schedule for special exhibits and programs like Cars & Coffee, autograph sessions, and memorabilia meets. And don’t leave without getting your photo taken in an IndyCar. Ample, free accessible parking is available at the surface lot west of the museum. Passengers may be dropped off at the museum entrance prior to parking. The museum is fully accessible with ramp entries and access into and throughout. The theatre has ample space for those in wheelchairs. Four track tour buses are wheelchair accessible. A special “touch tour” of selected display cars conducted by museum hosts is an option for those with visual impairment. Advance requests are helpful, especially on busy days (ex: month of May) but are not normally necessary. American Sign Language (ASL) interpreters are available upon request, with at least 48 hours advance notice. 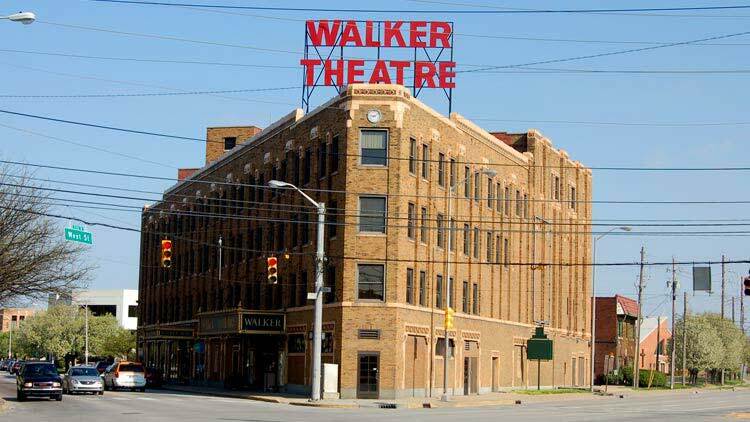 Printed transcriptions of the video shown in the theatre and of the audio narration for those taking the track bus tour are also available. 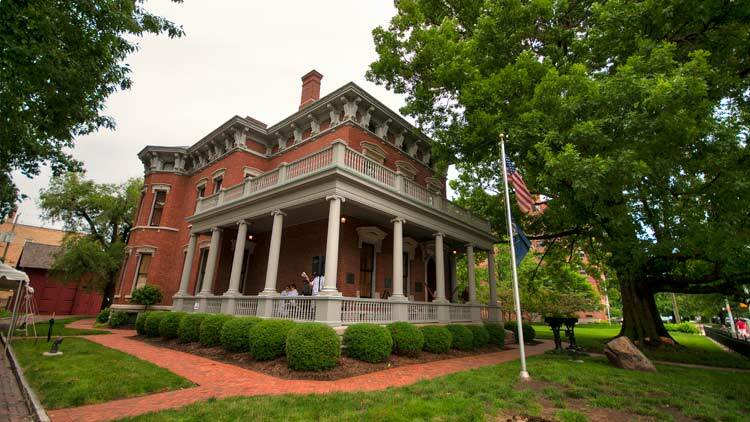 Newfields is a multi-experience cultural park and home to the renowned Indianapolis Museum of Art. 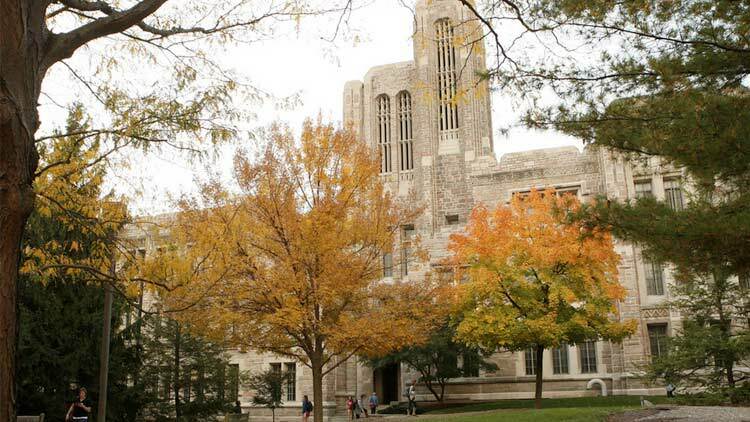 Located on 152 acres of gardens, woodlands, meadows, and art galleries, Newfield’s expansive campus is comfortable, welcoming, and accessible. Expect to spend the whole day delighting in outdoor and indoor experiences. Those looking for natural beauty can surround themselves in The Garden, featuring seasonal horticultural displays curated by Newfield’s team. Nearby is the historic Lilly House, a 1930s French-chateau-style mansion. The Beer Garden has become a favorite spot on the campus inviting visitors to unwind with family and friends. The Virginia B. Fairbanks Art & Nature Park: 100 Acres is where guests can enjoy contemporary art installations, nature walks, and birdwatching. 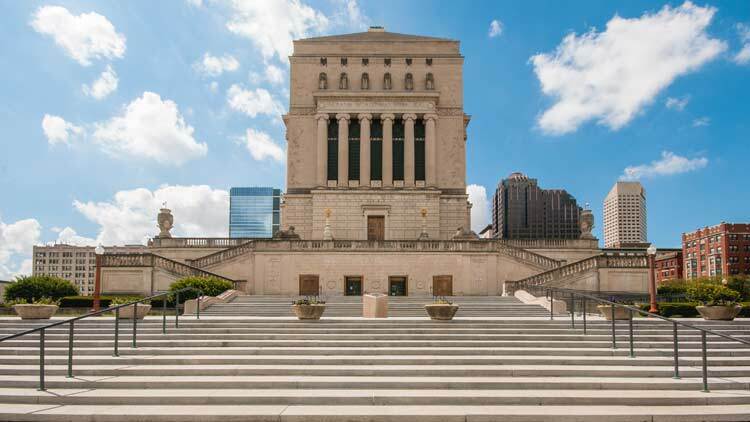 Going inside, the extraordinary Indianapolis Museum of Art presents art from around the world via self-guided or docent-led tours. Don’t miss the IMA Museum and Garden Shop for unique gifts, or the Café for a flavorful lunch or mid-day snack. Accessible parking is located on the main surface lot to the left of the Welcome Center, or in the underground parking garage. The garage offers a covered entrance with elevator access into the Indianapolis Museum of Art. 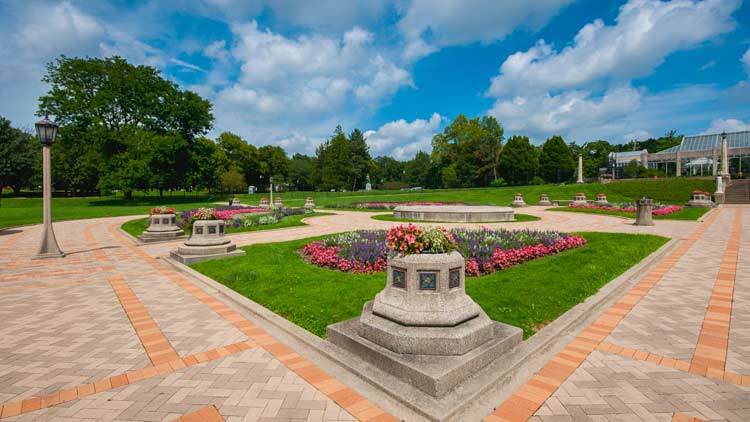 Accessible parking is also available at Fairbanks Park. 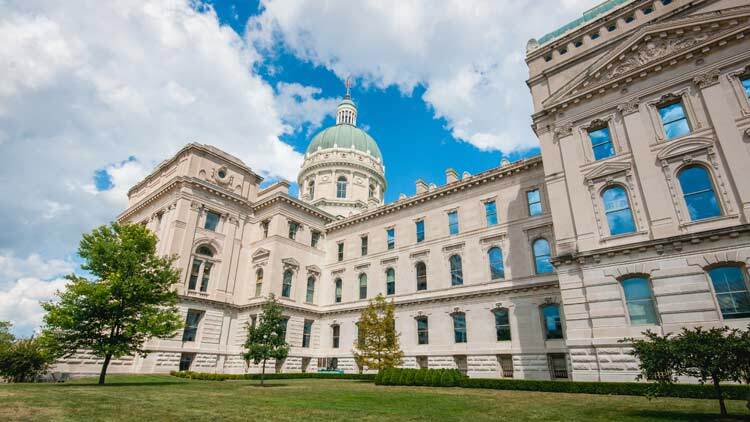 Accessible restrooms are available on Floor 1 of the Indianapolis Museum of Art, the Lilly House, and Fairbanks Park. Complimentary indoor and outdoor wheelchairs are available. Electric scooters are available to rent on a first-come, first-serve basis. At the museum, audio devices are available upon request. For American Sign Language (ASL) interpreters, please contact the museum in advance. Exhibition wall labels feature large font, and captioning accompanies gallery videos. In the Design Galleries, guests can touch and test materials from the Design collection. A Touch & Audio Descriptive Tour, designed for those who are low-vision or blind, engages guests through the use of touch and descriptive narration. Service dogs or service dogs-in-training are welcome to visit all buildings and The Garden on the Newfields campus. The service dog must be under physical or voice control of the guest at all times. 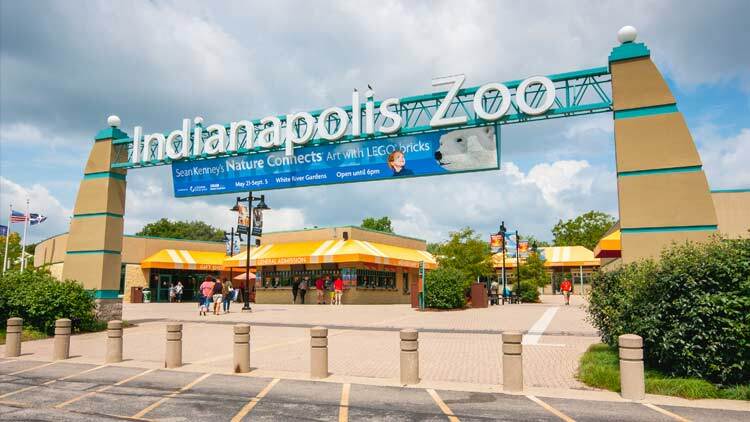 Located in White River State Park, the acclaimed Indianapolis Zoo is a triple accredited venue: zoo, aquarium, and botanical garden. 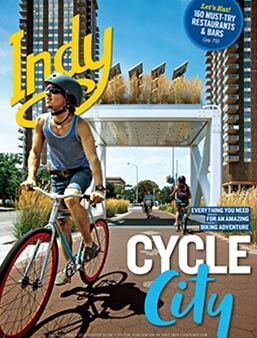 Recognized as a worldwide leader in animal and natural conservation, the Indy Zoo connects people with animals via natural-habitat biomes. While visiting, you might touch a shark, race a cheetah, view dolphins from more than 10 feet underwater, feed birds landing on your shoulder, or stare eye to eye with orangutans. New to the zoo are long-tail macaques that love to dive into refreshing waters for a swim. Dolphin presentations take place daily and special exhibits, such as Butterfly Kaleidoscope, are often featured in White River Gardens. Listening to popular jazz groups and local performers is a highlight of the summer months; in October ZooBoo is a treat for all; and during the holiday season, thousands of holiday lights shine brightly at Christmas at the Zoo. There is ample accessible parking near the entrance to the Zoo, on a first-come, first-served basis. Early arrival to secure your space is helpful especially on days when high attendance is expected. The Zoo is fully accessible with ramps and low-grade slopes to accommodate all with mobility concerns. 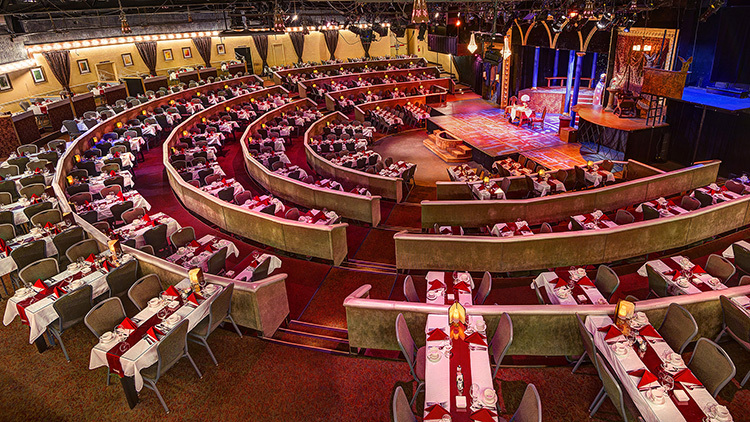 Entrances to experiences are accessible and easy to maneuver. The box office has accessible ticket windows, and there are accessible picnic tables on the grounds. Those in wheelchairs can enjoy two zoo rides – the Carousel and Skyride – without having to leave your chair. Signage at exhibits describes the animals, their natural habitats, and their status if endangered. Many of the experiences have accompanying video, some of which are captioned. Service animals on leashes are permitted at the Zoo. 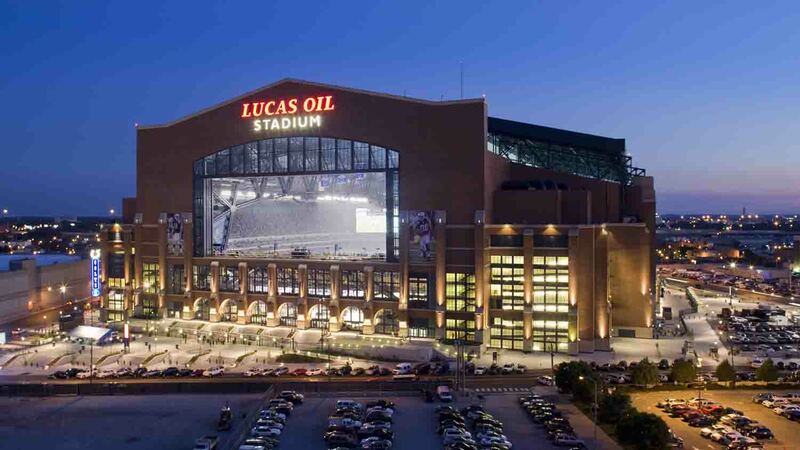 Indianapolis is proud home and headquarters to the NCAA. 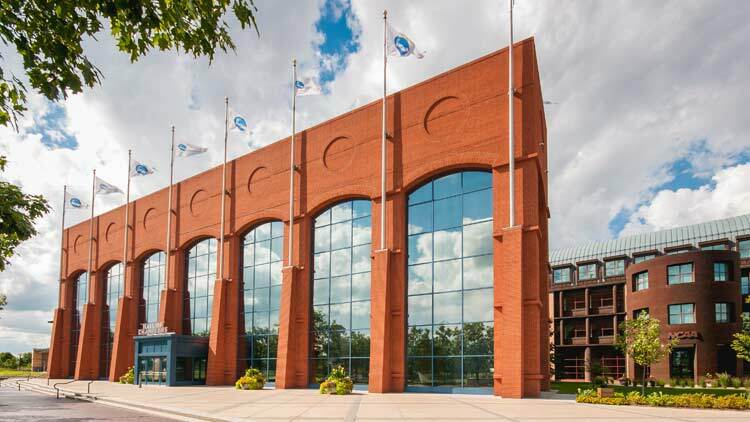 The NCAA building, located downtown in White River State Park, contains the Hall of Champions, an interactive museum where visitors experience 24 different sports contested by NCAA student-athletes. Here guests engage in a variety of exhibits, interactive displays, and hands-on (or feet-on) sports activities. Find out how your favorite collegiate team has fared over arch rivals. Test your sports knowledge with a game of trivia. Shoot hoops in a replica, historic gymnasium. Test your prowess at field-goal kicking or try the ski simulator. Grab official NCAA merchandise from the gift shop. And make sure you get a selfie at the iconic Flying Wedge sculpture. It’s all good fun and helps you appreciate the achievements of young students who love their sports. Accessible parking is available at the White River State Park underground garage. There is a short walk from the parking garage to the NCAA Hall of Champions. Guests with special circumstances that preclude walking to the main entrance may call guest services for other options. The facility is fully accessible with ample aisle space, ramps, and elevator access to its second level. Wheelchairs for transport around the museum are available on a first-come, first-served basis, at the hall’s welcome desk. There is no charge. American Sign Language (ASL) interpretation is available with seven or more days of advance notice. Trained service animals are permitted. Rhythm! 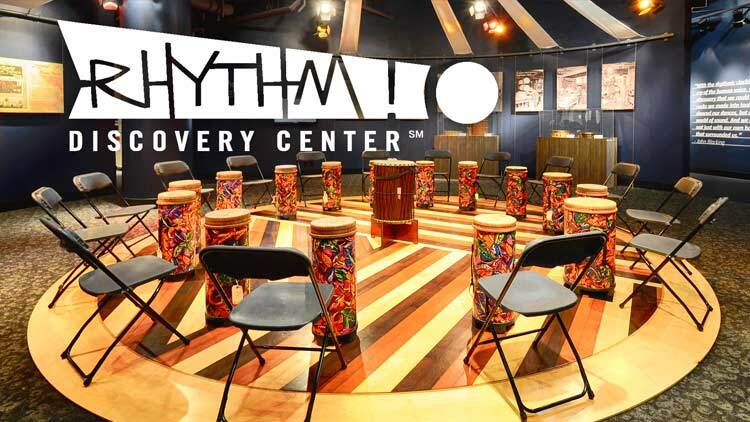 Discovery Center is the world’s foremost drum and percussion museum, founded and operated by the Percussive Arts Society. Guests discover unique, interactive exhibits highlighting a rich collection of historic artifacts and hands-on percussion instruments. Drawing upon cultures from around the world, Rhythm! offers an incomparable experience in exploring the universality of rhythm and percussion, and its role in shaping communication, music, art, performance, and society. Visit the Groove Space exhibit, where every instrument is hands-on. How does a shaker sound different than a djembe? Play the giant gong drum. Can you feel the vibrations move your body? Participate in Saturday Community Programs: join a drum circle, or make an instrument to take home. Every person of any ability has their own beat, and this is just the place to find it. 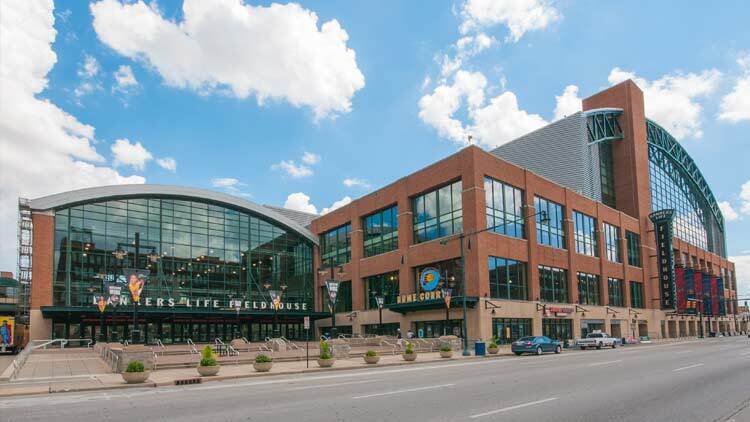 Parking is available in the Circle Centre mall parking garage with an entrance on Washington St. Once parked, take the elevator to Level 2 of the mall and come through the Artsgarden toward Claypool Court. After entering Claypool Court, the elevator is to your left. Rhythm! Discovery Center is located on the lower level. The entrance to Rhythm! Discovery will be on your right as you exit the elevator. Licensed caregivers/aides are admitted to the center free of charge when accompanying those with special needs. Child-sized, over-the-ear, noise reducing headphones are available upon request. Disposable foam earplugs are also available. Rhythm! typically experiences lower visitation after 2 pm on weekdays. Sundays are a quieter day than Saturdays. Staff-led audio tours may be booked with advance notice, subject to availability.